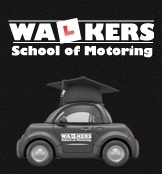 Walkers is a top quality driving school that ensures you are in safe hands from the very first lesson. You can expect friendly and qualified instructors with local and door to door pick up/service. Help with theory test and highway code. Walkers will go the extra mile when it comes to learning to drive and in no time at all you can be on the road yourself having passed with the help of Walkers driving school.